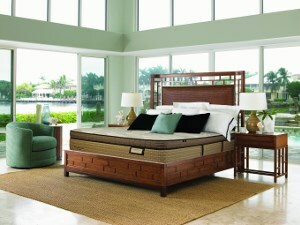 Offering comfort and striking visual style, you will love the use and look of the Kearney ottoman. The oval shape of the ottoman features a tufted leather top for a comfortable spot to sit and rest your feet. Two rows of nailhead trim and a row of hair on hide for a look perfect for a study, den, or home office. The turned wood feet with caster wheels make this ottoman easy to move around the room to where you need it. The Hair On Hide Kearney Ottoman w/ Caster Wheels by Bradington Young at Baer's Furniture in the Ft. Lauderdale, Ft. Myers, Orlando, Naples, Miami, Florida area. Product availability may vary. Contact us for the most current availability on this product. Fabric Options Hair-On-Hide placement cannot vary from factory selected placement. 9725-85 & 9725-87 will have extreme shade variations from hide to hide. Over 250 leather selections of colors and textures, all supple, natural and top grain. Also chose from 300 fabrics. Wood & Finish Exposed wood legs available in Albany Park, Antique Black, Casablanca, Classic Cherry, Mahogany, Maple, Rustic Brown, and Vintage. Nailhead trim available in four sizes in Antique, Golf, Pewter, Silver, Natural, French Natural, and Old English styles. Seat Support All chairs feature genuine eight-way hand tied custom coil construction that is unsurpassed in comfort and lasting quality. The "seat pleaser" coil spring seat foundation is the most even and comfortable seating in motion furniture. For a rustic look with Old World masculine style, the Hair On Hide upholstery group choices cannot be matched. Finely crafted by North Carolina craftsmen with eight-way hand tied coil construction, these pieces feature high-quality leather and hair-on-hide animal hides. 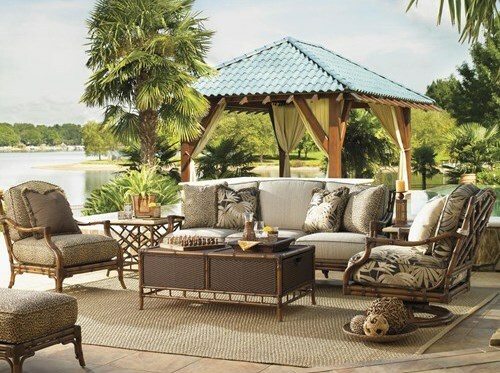 These unique styles offer a distinguished and comfortable seating area for home entertaining and quiet relaxation. 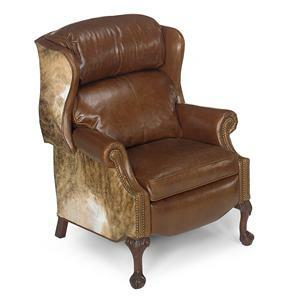 Over 250 luxurious leather options and over 300 fabric choices, multiple nailhead trim styles, and multiple wood finishes let you choose the finishing look for your great Hair On Hide ottoman, recliner, or stationary upholstered chair. The Hair On Hide collection is a great option if you are looking for Traditional furniture in the Ft. Lauderdale, Ft. Myers, Orlando, Naples, Miami, Florida area. Browse other items in the Hair On Hide collection from Baer's Furniture in the Ft. Lauderdale, Ft. Myers, Orlando, Naples, Miami, Florida area.